This bright gift is perfect for celebrating all happy occasions and even for cheering somebody up when they are feeling blue. This gift includes a rose plant in a metal pot with a decorative ribbon. 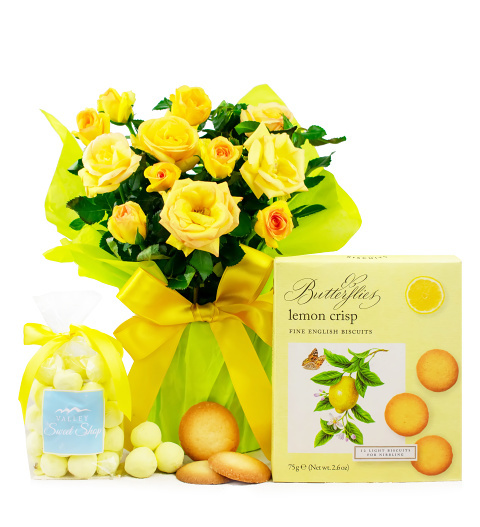 We have also included delicious lemon bonbons and biscuits to complete this gift. Spoil somebody special today with this memorable gift and you can be sure that it will put a smile on their face!